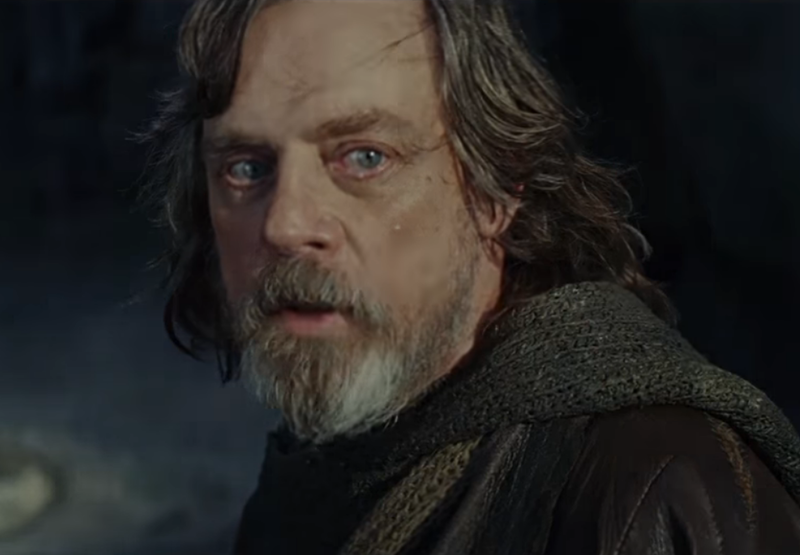 Those words from Luke Skywalker in The Last Jedi trailer are haunting. In a time of such great chaos against a threat like the First Order, we are all expecting Luke to be our bedrock. He’s the Jedi who brought his father back to the light, helped kill the Emperor, and saved the galaxy. Now he’s the last Jedi, and he’s scared. But why? In A New Hope, The Empire Strikes Back and Return of the Jedi, Luke was many things, but scared was not one of them. He was always quick to head toward danger when his friends were at risk. He quickly took up the cause of the rebellion to fight for something greater than himself. He piloted an X-wing in a suicide mission to destroy the first Death Star. Later, he had the courage to allow himself to be captured by Darth Vader and brought before the Emperor on the second Death Star, despite knowing that the rebellion was on their way to destroy it. Even then, when being faced by both Vader and the Emperor, Luke was willing to risk his life to try and redeem his father. For someone who has been through so much, it seems unthinkable that he would be afraid of the likes of Rey and Kylo. However, we’ve seen what they can do. In The Force Awakens, Kylo was able to freeze Poe Dameron and Rey in place with the Force. He was even able to freeze a blaster bolt in place. We also saw both Kylo and Rey’s abilities when it comes to probing minds. In fact Rey was able to do so with no training, just raw ability. She also displayed remarkable power in being able to mind trick a stormtrooper. While Rey has had no training, Kylo has. Luke trained him when he was still Ben Solo. But it all ended when Ben destroyed Luke’s fledgling Jedi order. From here, we must speculate, but it’s not too hard to put the pieces together. We’ve seen flashbacks of the Knights of Ren amongst dead bodies, of a burning building in Luke’s past. These pieces appear to be Luke’s Jedi order. An order that was wiped out by Kylo Ren. So imagine a pupil turning against you, slaughtering the students you’ve spent years training, and what if that pupil froze you in place with the Force. You stand helpless, completely useless, as everything around you is destroyed and there is nothing you can do because the thing that is attacking you is so overwhelmingly powerful. To face something that can freeze you in place, rip through your thoughts and emotions, and to know you helped train that thing and enable it to be so deadly? That would be haunting. And if Rey can mind control a stormtrooper with no training, what could Kylo Ren be capable of with training? Could he mind control someone like Luke Skywalker into murdering another Jedi? Could Kylo have actually sat back and watched as he forced Luke to murder his students? Could that be the reason why Luke is so scared? One way or another, we’ll find out in December why Luke Skywalker is so frightened of Rey and Kylo. Until then, we’ll just have to speculate amongst one another in the fandom. Exciting stuff! I can’t wait!